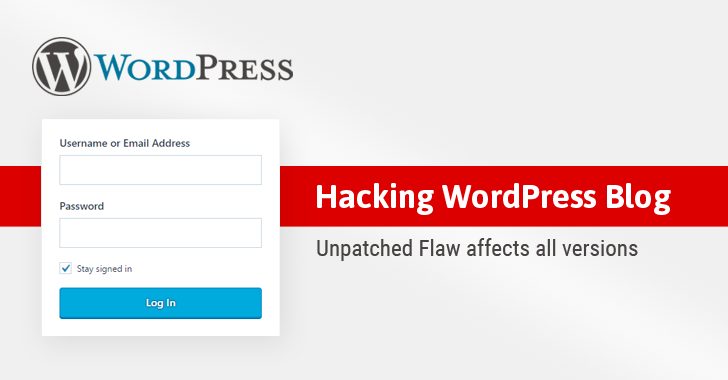 "This issue has been reported to WordPress security team multiple times with the first report sent back in July 2016. It was reported both directly via security contact email, as well as via HackerOne website," Golunski wrote in an advisory published today. "As there has been no progress, in this case, this advisory is finally released to the public without an official patch." Here, "From" refers to the email address of the sender and "Return-Path" refers to the email address where 'bounce-back' emails should be delivered in the case of failure in the delivery for some reason. Since the hostname in the malicious HTTP request is an attacker-controlled domain, the From and Return-Path fields in the password reset email will be modified to include an email ID associated with the attacker's domain, i.e. wordpress@attacker-mxserver.com, instead of wordpress@victim-domain.com. "Because of the modified HOST header, the SERVER_NAME will be set to the hostname of attacker's choice. As a result, Wordpress will pass the following headers and email body to the /usr/bin/sendmail wrapper," Golunski says. If, in case, the victim replies to that email, it will be delivered to attacker email ID (mentioned in 'From' field), containing a password reset link in the message history. If, for some reason, victim's email server is down, the password reset email will automatically bounce-back to the email address mentioned in "Return-Path" field, which points to the attacker's inbox. In another possible scenario, to forcefully retrieve bounce-back email, the attacker can perform a DDoS attack against the victim's email server or send a large number of emails, so that the victim's email account can no longer receive any email. "The CVE-2017-8295 attack could potentially be carried out both with user interaction (the user hitting the 'reply' button scenario), or without user interaction (spam victim's mailbox to exceed their storage quota)," Golunski told The Hacker News in an email. "SERVER_NAME server header can be manipulated on default configurations of Apache Web server (most common WordPress deployment) via HOST header of an HTTP request," Golunski says.